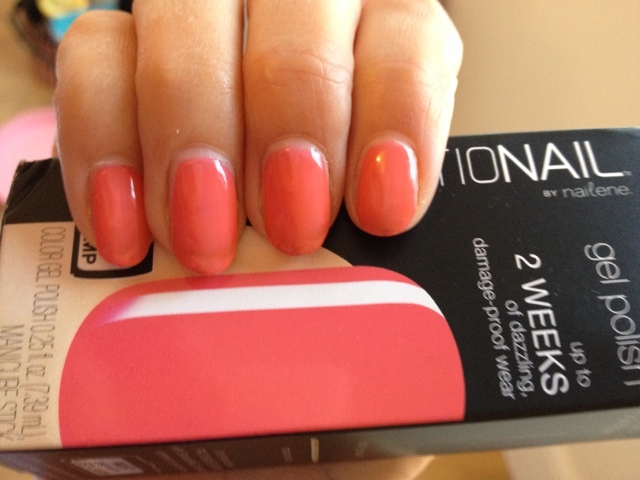 BEAUTY & LE CHIC: Review: SensatioNail Gel Manicure Kits... They've won me over! 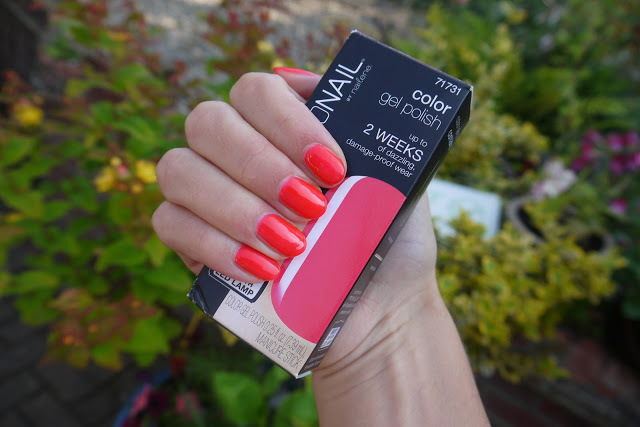 Review: SensatioNail Gel Manicure Kits... They've won me over! Plus I got two additional colours (you know me, I like to have choice)....Guilty Pleasure - a bright orange with a hint of fluoresent pink and Disco fever - a gorgeous granite grey with loads of shimmer. I HAD to go with Guilty Pleasure first. It struck me when I paid me when I paid 25 quid for a "pro" gel manicure how easy it was. It's basically painting your nails and sticking them in a lamp repeatedly - so I wasn't daunted by the process. I DID carefully read the instructions and there's a handy step by step summary leaflet with idiot proof pics to help you through. I've got to admit the lamp part is fun, I felt like such a pro! The beep (it beeps after 30 seconds and switches off after 60) drove my dog potty... be warned. The whole process took nearly an hour but now I'm a "pro" I reckon I could halve that time. Plus I enjoyed a glass of wine and watch the TV whilst I was doing it... now you can't do that in a salon! And when you're done, your nails are done. Rock solid and dry in no time. I am so proud, it turned out amazingly well for a first attempt. Super gloss, super strong and super professional. As for Guilty Please it's a really striking in-your-face kinda shade. True to description it's a bright orangey pink and a touch fluro. The instructions recommend two coats of polish but it was still a little see through so I have to go for three. Although having looked at the reviews it's common in this shade. Others are opaque after two coats. As a habitual polish wearer I've come to expect the chipping and fading to set in after 2-3 days... but not here. For days I kept marveling at how they still looked "freshly done" and that super smooth and glossy finish remained throughout. After 10 days... one hand was still going strong but there was some chipping on the other. Although the two nails that chipped were already bendy and brittle. Because of the two chipped nails I took them off after ten days, plus I was ready for a change of colour (I'm fickle). I've no doubt that if those two nails were in better condition we'd have made it to the two week point, even longer. 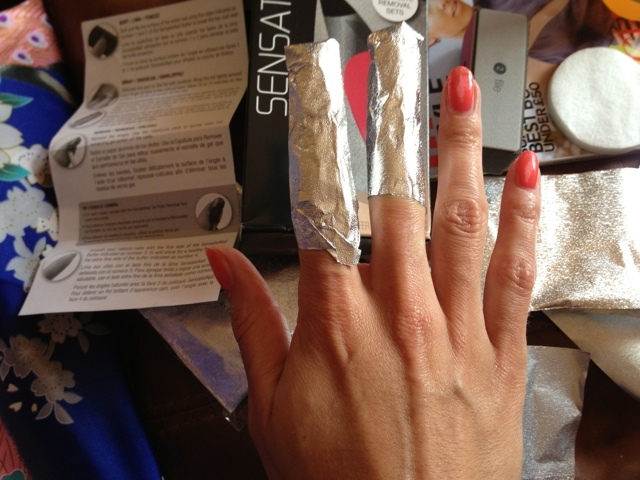 I'd heard some horror stories about the removal process but it was fairly easy with the SensatioNail Removal Kit £10 here. Which is essentially a pack of foil wraps with cotton wool attached. Soak the cotton wool, wrap up your tallons, wait 5-10, unwrap the foil and the gel should fall off. A couple were pretty stubborn and needed a helping hand with a hoof stick. Let's talk cost. This kit will set you back £60 and contains enough for 10 applications. That's £6 a manicure! 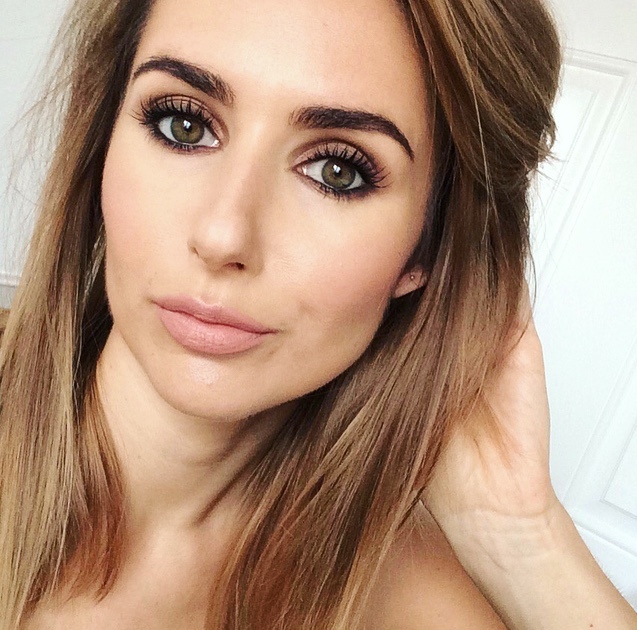 Compared to the salon price tag of £25+ it's a steal. The process is a bit time consuming, but for two week results it's well worth it. I can't wait to try the other shades. This sounds great! I'll check it out, xoxo. 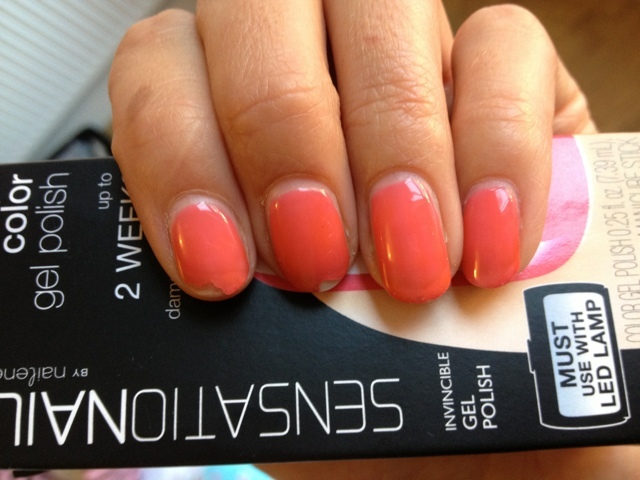 I love SensatioNail too and this colour looks gorgeous! It seems a lot paler in the removal pics - which pic is the most true to the actual shade? I find it so hard to capture colours accurately on camera! It sure is hard to capture true colours on camera. I'd say the first pics of the nails just done. These were taken outside in natural daylight without a flash. The removal pics were taken in doors with my iphone. It's a very bright shade but so gorgeous. Thank you for the post. Personally, I love gel polish kit. It lasts 3-4 weeks without chipping. I've got one of the gel polish kit at Runway Professional. Its really nice and perfect for me. I strongly recommend checking them out. 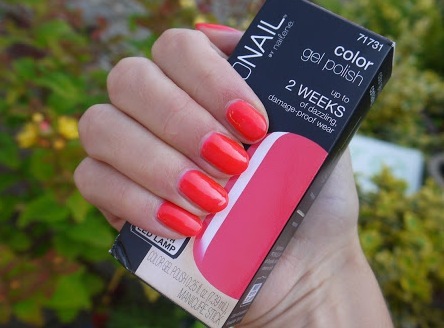 Great collection of Nail Kits for females with different 2 nice color. Thanks for sharing nice pic or Nail Kits.